Two more sequels for 2017 megahit “Along With the God: The Two Worlds” will be simultaneously shot next year, a local media outlet reported Sunday. Won Dong-yeon, the chief of Realies Pictures, said in an interview with Yonhap News Agency that the production company is planning to finish two scenarios for part three and four of the “Along With the God” series by the end of this year and shoot the film in 2019. “We are open to all possibilities, including a prequel or a spinoff,” Won was quoted as saying. “Along With the God” is a movie series based on a popular webtoon of the same name by Joo Ho-min, which deals with the afterlife as it was depicted in the traditional Korean mythology. 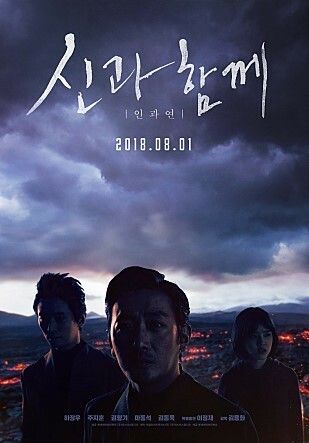 Its first installment “Along With the God: The Two Worlds” became the second most commercially-successful movie in Korean box office history, selling over 14.4 million tickets. “Along with the Gods: The Last 49 Days,” the second film of the series, will open on Aug. 1.